I could never have attended Purdue University had it not been for student loans. I began dating Sallie Mae right away, and it took years for me to break up with her. As we continue our discussion surrounding graduation, here are some points about getting a degree and student loans from my book – What Everyone Should Know About Money Before They Enter The Real World. This is a great resource for those currently graduating high school or college. Go to school for 4 years for a 4 year degree (or for 2 years for a 2 year degree). Not six years for a four year degree. This can have substantial financial consequences. For example, if you attend college for two years more than required for the degree, you will have to pay for two extra years of school PLUS you will forfeit the salary you could have earned during that two year period. For many people this is a $100,000 financial swing! Obtain a degree that will help you repay the loan. There are many people who go to prestigious private colleges to obtain a degree that is the equivalent to underwater basket-weaving. While I think that underwater basket-weaving would be amazingly cool, it probably won’t help repay the loans. My mechanical engineering degree from Purdue University and MBA from Clemson University certainly helped me repay my student loans. Tech or Community College for the first two years can really lower costs. Most states have established programs that allow all credits earned during the first two years of community college to transfer directly to the state schools. I have seen the costs for community college. They are much lower than state or private universities. The local community college where I live is literally one-third the cost of the state school. Obtain subsidized loans, if possible. Subsidized loans do not accrue interest while the student maintains at least half-time student status. They also do not accrue interest while the loans are in grace periods or deferment. The name of the college does not matter nearly as much as the effort you put into your studies. Many students fall in love with a particular college and feel that they just must attend only that institution. I have discovered that no one really cares about the fact that I went to Purdue and Clemson – all they want to know is if I can help them accomplish their stated objective. Print this out and have a conversation about it with your student or future student. My bride and I have been talking about this with our daughter since she was six or seven. I know it might seem like boring conversation, but I promise you that it has had a positive impact on our daughter and the plans she has made for education. 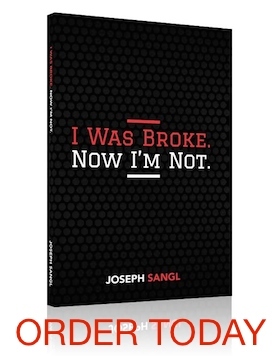 I have written an entire chapter on this topic in my book for high school and college students – What Everyone Should Know About Money Before They Enter The Real World – I promise you it will help financially prepare your student for the real world. You can purchase that book HERE or for your e-reader HERE.